VIASURE Human Herpes Virus 6, 7 & 8 Real Time PCR Detection Kit is designed for the specific identification and differentiation of Human Herpesvirus 6, Human Herpesvirus 7 and/or Human Herpesvirus 8 in clinical samples from patients with signs and symptoms of Human Herpesvirus 6, Human Herpesvirus 7 and Human Herpesvirus 8 infection. This test is intended to be used as an aid in the diagnosis of HHV-6, HHV-7 and/or HHV-8 in combination with clinical and epidemiological risk factors. 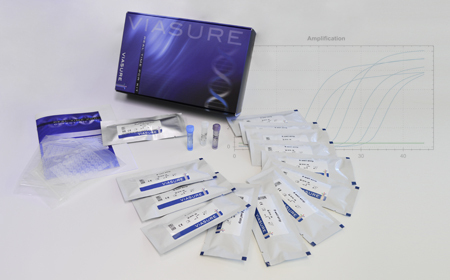 DNA is extracted from specimens, multiplied using Real Time amplification and detected using fluorescent reporter dye probes specific for HHV-6, HHV-7 and HHV-8. Herpesviridae is a large family of DNA viruses that cause diseases in humans. The members of this family are also known as herpesviruses. There are 9 herpesvirus types known to infect humans: herpes simplex viruses 1 and 2, HSV-1 and HSV-2, (HHV1 and HHV2), varicella-zoster virus (VZV or HHV-3), Epstein–Barr virus (EBV or HHV-4), human cytomegalovirus (HCMV or HHV-5), human herpesvirus 6A and 6B (HHV-6A and HHV-6B), human herpesvirus 7 (HHV-7), and Kaposi’s sarcoma-associated herpesvirus (KSHV or HHV-8). Human herpesviruses 6 (HHV-6) A and B are two distinct lymphotropic β-herpesviruses that infect the majority of humans. By age 5, the majority of humans have acquired HHV-6 infection as indicated by seropositivity. The classic presentation of primary HHV-6 infection is Roseola Infantum. In immunocompetent individuals, primary HHV-6 infection is often asymptomatic or it could be manifested clinically as a febrile illness associated with an exanthema, diarrhea, respiratory symptoms, seizures or encephalitis. Human herpesvirus (HHV-7) is also a lymphotropic β-herpesvirus that infects humans during the first 5 years of life. Like HHV-6, it may be asymptomatic or it could manifest clinically as fever, upper respiratory symptoms, vomiting, diarrhea, seizures, encephalitis and a Roseola-like illness. Even though, the most common clinical presentations in HHV-7 viremic children are seizures and fever. Latency of β-herpesviruses is established in secretory glands, lymphoreticular cells, and in tissues such as the kidneys among others. Plasma, serum, whole blood, peripheral blood mononuclear cell (PBMC) preparations, saliva and cerebrospinal fluid (CSF) specimens from infants and immunocompromised patients are acceptable specimen types for HHV-6 and HHV-7 PCR based detection and monitoring. Human herpesvirus 8 (HHV-8) is a γ -herpesvirus Kaposi’s sarcoma-associated herpesvirus. It is transmitted during intimate contact, likely through transfer of body secretions such as saliva and genital secretions. HHV-8 can also be transmitted through blood transfusion and organ transplantation. In immunocompetent children, primary HHV-8 infection is associated with mild nonspecific symptoms of fever and rash. In adults, primary HHV-8 infection has been implicated in clinical illness characterized by diarrhea, fatigue and lymphadenopathy. Following resolution of primary infection, HHV-8 enters a state of latency in cells of lymphoid origin. Biopsies of lesion (oral and cutaneous), saliva, blood, plasma, and PBMC are the clinical specimens more frequently used for viral detection and monitoring of treatment of HHV-8. Infections due to HHV-6 and HHV-7 are common in transplant recipients (i.e. solid organ transplant (SOT)), but clinical diseases due to these viruses are uncommon. Fever, rash and bone marrow suppression are the most common manifestations, but symptoms of tissue invasive disease may be observed. Infections due to HHV-8 may lead to Kaposi’s sarcoma and less commonly Castleman’s disease, primary effusion lymphomas, bone marrow suppression and multiorgan failure. HHV-8 disease is most common among transplant recipients from endemic regions, although certain populations in nonendemic regions are also at high risk.  The amplification of the viral DNA by the polymerase chain reaction is used extensively throughout the world for its sensitivity and specificity. qPCR is an ideal technique to monitor current infections.